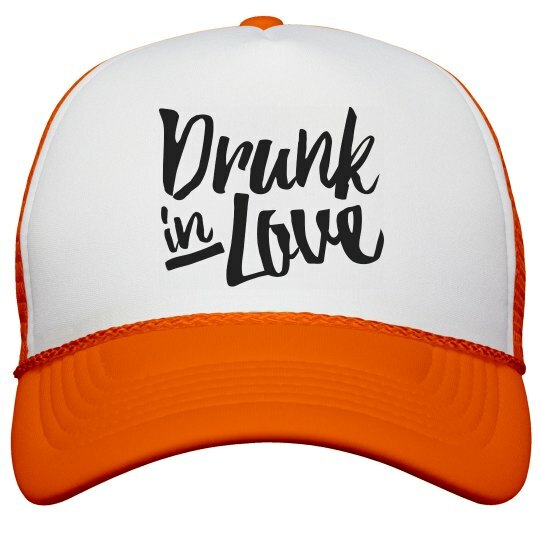 This 'Drunk In Love' hat is the perfect party favor for the bride-to-be. For her bachelorette party, you and all your friends are going to be gettin' crazy and celebrating with lots of booze. Get the bride this hat and get the bridesmaids the matching 'Just Drunk' hats!